Looking back through history, it seems a lot of fans of The Cult were initially against the change of style from punk/goth to rock band in the late 1980s but, to be fair, I was a kid so I wasn’t involved in any frustration others may have had. In fact my first exposure to The Cult was Love Removal Machine from the Rick Rubin produced Electric so I was already a fan of The Cult: Rock Band. It was the last few years of the decade that I started going to gigs with friends, albeit via a local coach firm come booking agency so my parents wouldn’t worry about me and I went to see The Cult in 1989, my first exposure to Matt Sorum who would become one of my favourite drummers, and I loved Sweet Soul Sister so I’ve listened to Sonic Temple quite a bit over the years. It’s only today as I actually research information on the album though that I see Sorum’s name missing from the credits. Turns out he joined the band for the tour but the studio drummer was Bryan Adams alumnus Mickey Curry, no matter as he’s also a great drummer. Moving into Little Mountain Sound studios to work with über-producer Bob Rock was a stroke of genius because Bob Rock makes great albums and Sonic Temple has one of the strongest starts to a record in rock. Sun King is an epic way to start any album, six minutes of traditional sounding The Cult but with professionalism turned up to 11, really tight. Fire Woman is up next and any song good enough to be included in Formula One, computer games, and an episode of Doctor Who is fine by me. 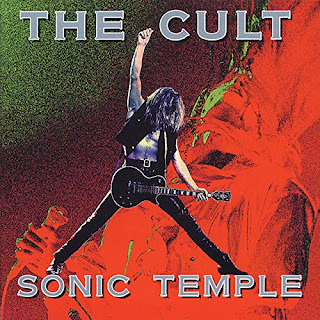 American Horse is instantly recognisable as a Cult tune, Billy Duffy’s distinct guitar sound along with Ian Astbury’s unique vocal style just IS The Cult. Edie (Ciao Baby) is just such a beautiful song to listen to. The acoustic guitar with that wonderful orchestral sound riding underneath before the heavy guitar and drums kick in is just a joy to behold. Edie Sedgwick was one of Warhol’s actresses and Astbury became infatuated and that care and love he has for her just oozes through his vocal. One of The Cult’s greatest songs, arguably one of rock music's greatest. Sweet Soul Sister is next, I can’t tell you why it’s my favourite, it’s not as wonderful as Edie (Ciao Baby) but it’s my favourite none the less. Turns out the gig I was at where Matt Sorum was playing for them is the one in the video for the single. Next up Soul Asylum and the first real opportunity to hear Jamie Stewart’s Bass. I love the construction of this song, it’s just so well put together and I’m honestly surprised this wasn’t another single release. It’s almost ambitious in its scope and there is much to listen out for, those little guitar licks underneath the main distortion, it’s almost Soundgarden meets Faith No More meets monster movie soundtrack (parts of the driving guitar is very reminiscent of Jamiroquai’s Godzilla song a few years later), if you take Astbury’s vocal off and add Layne Staley, it’s deserving of a place on Alice in Chains Dirt album. Magnificent listen, not one wasted second in the 7 1/2 minutes. New York City is slightly punkier and rougher in style but is most definitely a foot-tapper, main loves the subtle piano in the background and Iggy Pop on backing vocals. Automatic Blues, a heavy metal blues song played by two white guys from England, is not the best the band have ever done but it’s still better than most mainstream nonsense released at the time. Soldier Blue I really like but again I know it’s not the band at their best, Wake Up Time for Freedom is a little too Bob Rock commercial for my tastes but Astbury’s vocals are still wonderful. Medicine Train ends a stonking but not quite perfect album superbly well, harmonica intro is great and there is some great rock licks that follow. 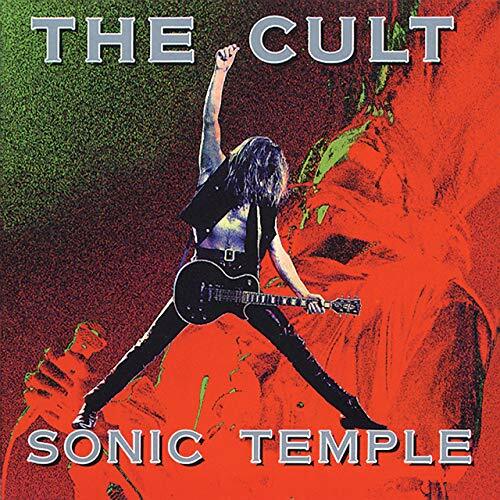 Sonic Temple may not be as loved by people as Electric but in my honest opinion it’s a very good album that’s possibly two songs away from perfect. The first five tunes are ridiculously strong, there is so much musically to admire, and some fantastic attempts to grow as a band. Edie (Ciao Baby), Sweet Soul Sister, and Soul Asylum are personal highlights.